I have been heavily involved in the Glen Eden community since 1988 when I set up my law practice here. I have always liked the place. It is full of good people and has a strong and proud community. And it is a generous community. You just have to see the multitude of groups and organisations that exist here to realise that many people give freely of their time. 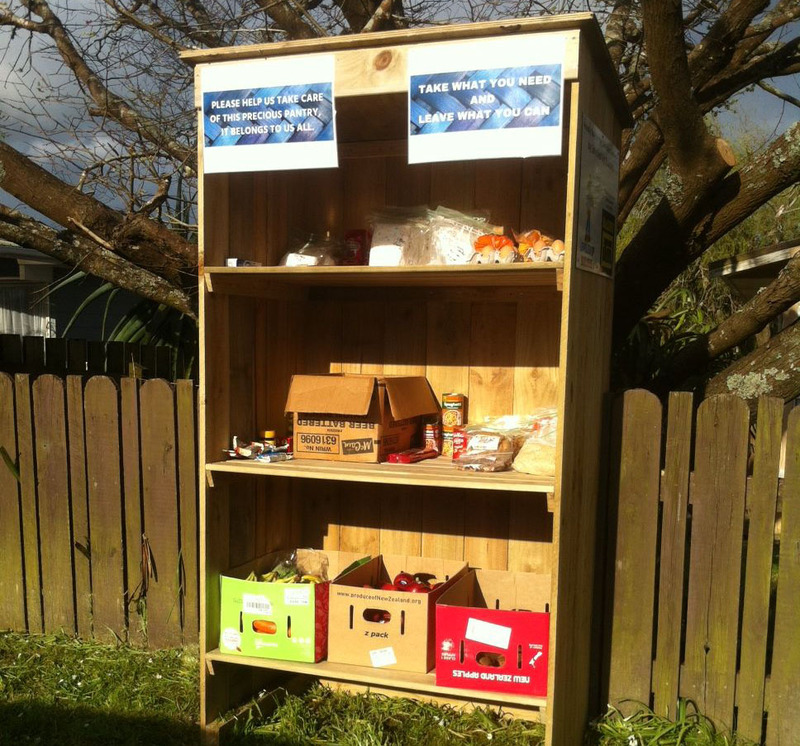 The latest example of this is the establishment of three free road side pantries in Glen Eden. A number of people have been involved but Heather Tanguay, Joy Bennett, Lisa Sherwood, Ecomatters Trust, Levelled up Builders, the Glen Eden Residents Association and many others should be praised and thanked. The idea of the pantries is simple. Locals with plenty can deposit food into the pantries so that locals who are struggling can receive free food. From each according to their ability and to each according to their need. Micky Savage would have been proud. Even the large businesses have been involved with Fresh Choice Glen Eden making a significant donation. I am not sure where the proposal came from although Heather Tanguay was the first person I heard raise the idea. She then floated it on facebook and the idea took off. Clearly a number of generously minded local people also thought it was a really good idea. If only social media worked more often like this! This is a local example of the Pataka Kai movement, the translation of which is Food Pantry. The movement is a resident led, grassroots, crowd sourced solution to helping locals that are in need. At the same time it builds and strengthens community. Donation is totally discretionary. Those in need can take what they need with the only expectation that they leave enough for others. This is not a new idea. Historically it has always been a feature of our community that we look after each other. It is only in these more recent dog eat dog days that this generous community spirit has been reduced. Congratulations again. If you do drive past one of these Pataka Kai and you have more than enough think about leaving something for those in our community who struggle more than we do.